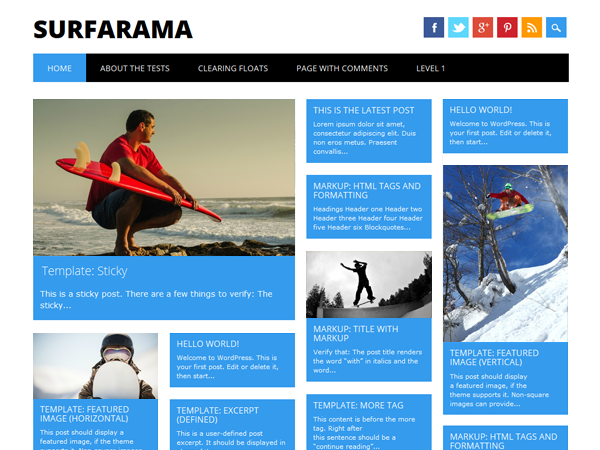 Surfarama is a bold and fun theme which uses the popular mason style layout on the home page and category pages to highlight imagery and make for a very visual presentation. It’s perfect for travel and magazine style blogs heavy on the imagery. The theme is highly customizable with the ability to upload your own logo, set the background color (or image), the primary theme color and even color code the categories without any coding required.